I should be looking out the window. I’m midway through a six hour train ride through Italy, and the scenery is lovely. But you people are so demanding! I’ve left Rome and am on my way north to a town called Pavia. I’m suffering from the usual complaints of the extremely budget-conscious traveler (back, sinuses, emotional stability), but a ham sandwich and a beer have put me in relatively high spirits. Sadly, every meal will now be compared to yesterday’s lunch. I left my beloved NYC late on Halloween night, escaping the madness in the city with the relative safety of a trans-continental flight. The plane deposited me in Milan, some 400 miles from my first gig. The way Italian clubs do business means I booked my flight before I knew where I was going. Milan is a fine city to fly into, but it did become rather a long day: flight, subway to the city centre, three hour train ride to Rome, then subway to my hotel. I checked in, squeezed myself into a shower the size of a small phone booth, took a 12 minute nap, then took the subway to the gig. A mercifully brief soundcheck, followed by a pizza which I had time just to roll up and insert, then we hit the stage. I think I managed to play most of the gig standing up. The club was, and is, Gregory’s- a wonderful intimate venue which one might describe as a real jazz club. I’ve played there a couple of times before, and it’s always a pleasure, due largely, I’m sure, to the boss, Omar, who is terrific fellow, and a genuine jazz fan. Its central location, near the famed Spanish Steps, means it’s easy to find, and is usually well populated. Ground level houses a bar bursting with fine Scotch whiskeys, and beer they serve in vase-size glasses. Winding back stairs take you up to the music room which is woody, low-ceilinged, and comfy. The stage is tiny, and the audience is within spitting distance of the band, a fact of which they were reminded throughout our gig. The people smiled and clapped, and generously tolerated my pathetic attempts at bilingual announcements. A few post-show cocktails followed, and I rolled out of there and into bed. Adam Pache is the man responsible for this trip. A mate of mine from back in Sydney, he’s been based in Italy for seven years, his formidable talents easily making him the go-to drummer for visiting musicians. He also knows how to put together a grand tour. Day two we met for coffee and then coffee. By that stage we were ready for a coffee, and suddenly it was lunch time. Pache knows his onions when it comes to food, and I trust his recommendations implicitly. This afternoon, he didn’t disappoint. A short stroll through town, interrupted only by a Campari and soda, took us to Trattoria Monti. Pasta seemed like the order of the day until closer inspection of the menu revealed brains. Fried, or stewed with porcini mushrooms. 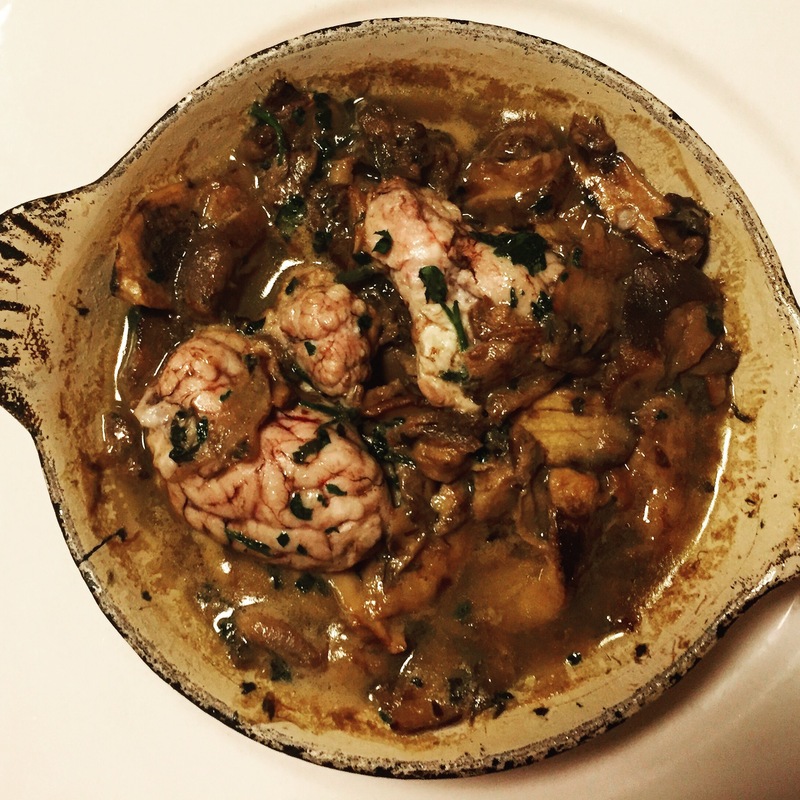 We ordered the brains. We ate the brains. And they were absolutely freaking delicious. Those zombies are really onto something. I digested my thoughtful lunch with some obligatory sightseeing and a well-earned nap, before heading back to Gregory’s for a repeat performance. I was a little more alert this time, and I can report happily that bassist Jacopo Ferrazo and our man Pache swung their arses off. 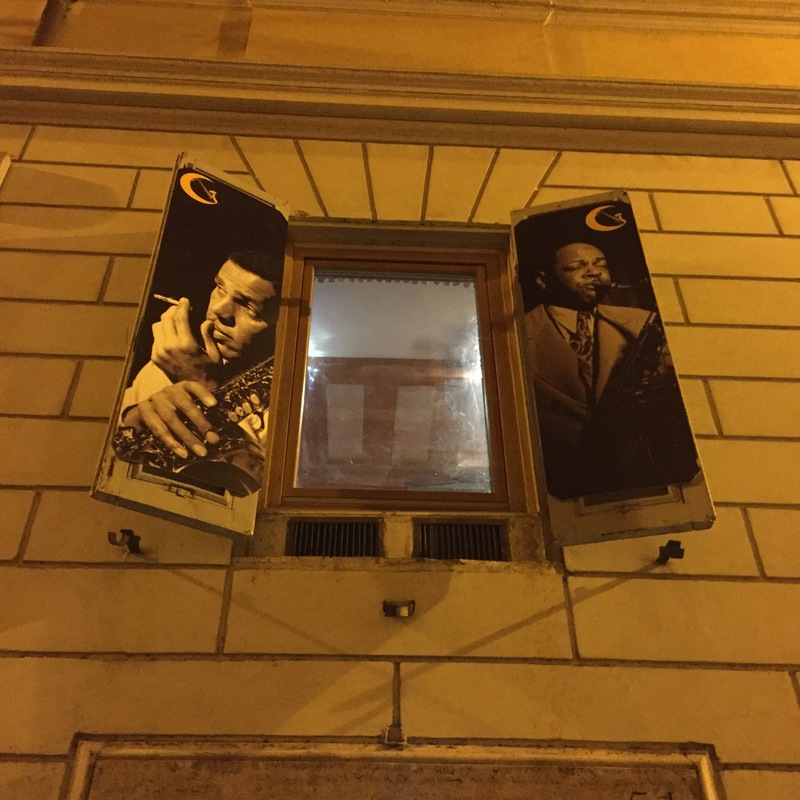 Rome was a delight, and showed me that jazz musicians and brains needn’t be mutually exclusive. Righto, talk to you from Pavia.